Improve the colour of your hair with just one wash. 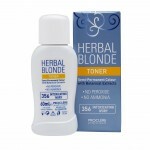 This Sweet Silver Toner removes any unwanted brassy tones and refreshed colour. 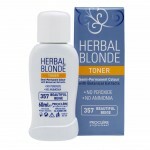 Not only will your colour be left looking fresh, this sweet silver toner is kind to hair as it's ammonia and peroxide free, get the best from your blonde, white and grey with Herbal Toners from Proclère. 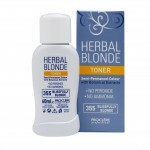 Product Info Tones bleached, highlighted and pre-lightened hair. Five subtle shades to gently tone away and eliminate any unwanted yellow tones. 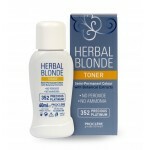 Formulated with botanical extracts, this gentle toner leavers hair in excellent condition. When using on hair that has just been prelightened/bleached/ highlighted the AntiOxy crystals nust be mixed with the Toner lotion to ensure an even distribution of colour. If the hair was prelightened/bleached/highlighted several days previously the the AntiOxy crystals are non essential. The 5 shades are fully intermixable so that you can create your own unique colour. Suggested product to use to prelighten full head is Blue Frosting Gel Lotion.